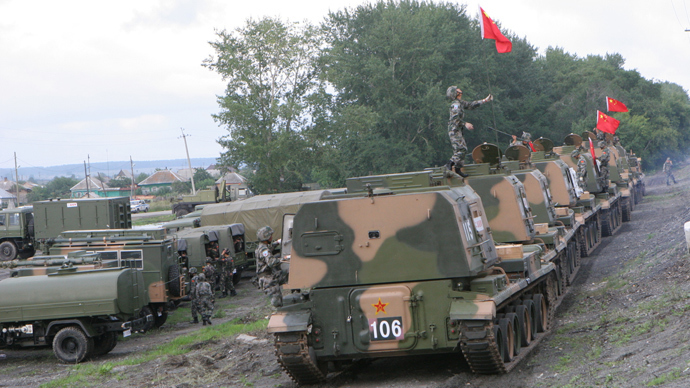 The Chinese Navy will be represented in the naval drills with six battleships. 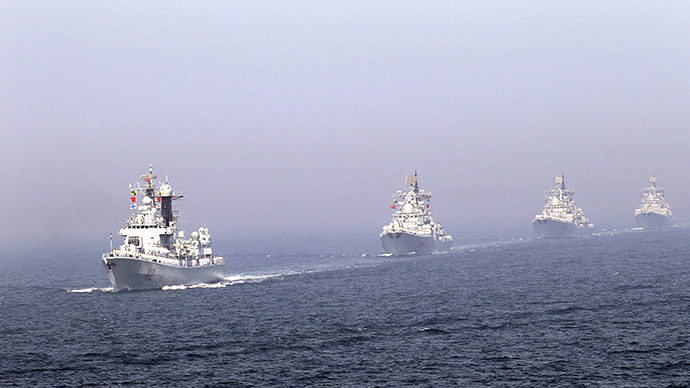 All in all, during the active phase of the drills set for May 22-25, the maneuvers involve 14 ships, two submarines, nine warplanes, six shipboard helicopters and two operational detachments of marines from both sides. All ships taking part in the training exercise are moored at the Usun naval military base in Shanghai. 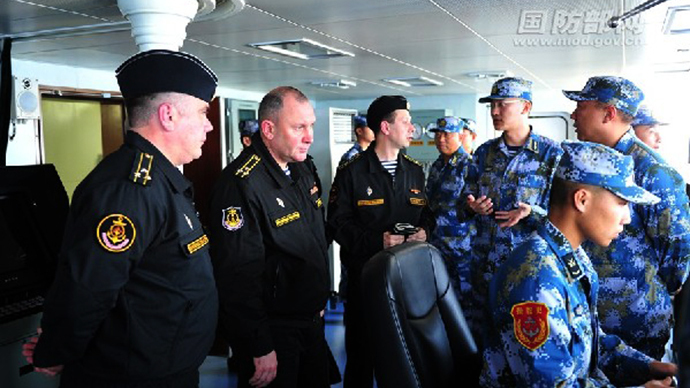 A delegation of Russian Navy officers has already joined their Chinese colleagues to compare notes on the plan of the drills. 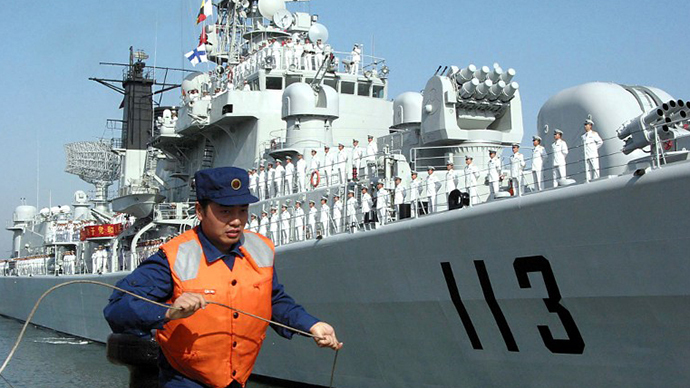 Chinese Vice Admiral Tian Zhong revealed to journalists that the major difference of the starting drills will be the increased difficulty of joint operations of battleships on both sides. 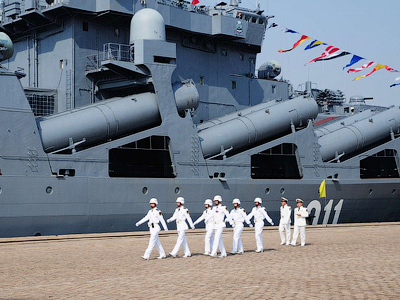 For the first time, Russian and Chinese sailors will operate within a mixed group of battleship from the two counties, holding joint missile and artillery strikes against sea targets at different ranges and performing anti-submarine activities. “Accumulated experience of interaction will allow us to increase the possibility of conducting joint actions of the two fleets to perform a wide range of tasks,” the top brass Chinese naval officer said. The crews of the Russian and Chinese warships made courtesy visits on board each other’s battleships to learn more about military hardware and service conditions. 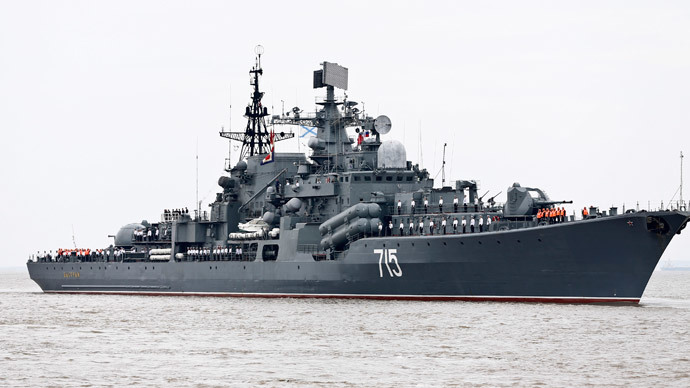 Chinese officers will be given a formal reception on the Russian flagship, the Varyag, on Monday evening. Russian sailors not taking part in preparations have been taken ashore for excursions organized by their Chinese hosts.